Rodney Ascher's documentary is a bizarre-o look at the crackpots and conspiracy theorists who have obsessively rewatched Stanley Kubrick's masterpiece, THE SHINING. Hidden in continuity errors and the patterns in the carpet, they claim to have found evidence that the film is really a metaphor for the Holocaust, or the massacre of Native Americans, or how Kubrick faked the moon landing footage. To those who would claim mere coincidence, they say that Kubrick was both obsessive compulsive about detail AND mischievous. They're right: if any director was going to lay down intricate clues, it would probably be Kubrick. I love that Ascher approaches their theories with cool detachment. He allows them to make their case and uses side by side screenshots and visual effects to elucidate their theories. He lets them prove their point (some times), and make outlandish and unsubstantiated claims (other times.) This detachment allows us to take the documentary both as a closer look at THE SHINING but also as a film for which THE SHINING is incidental. By this I mean that the real value of this film is not in over-analysing a famous film, but in showing us how popular culture makes crazy geeks of us all. 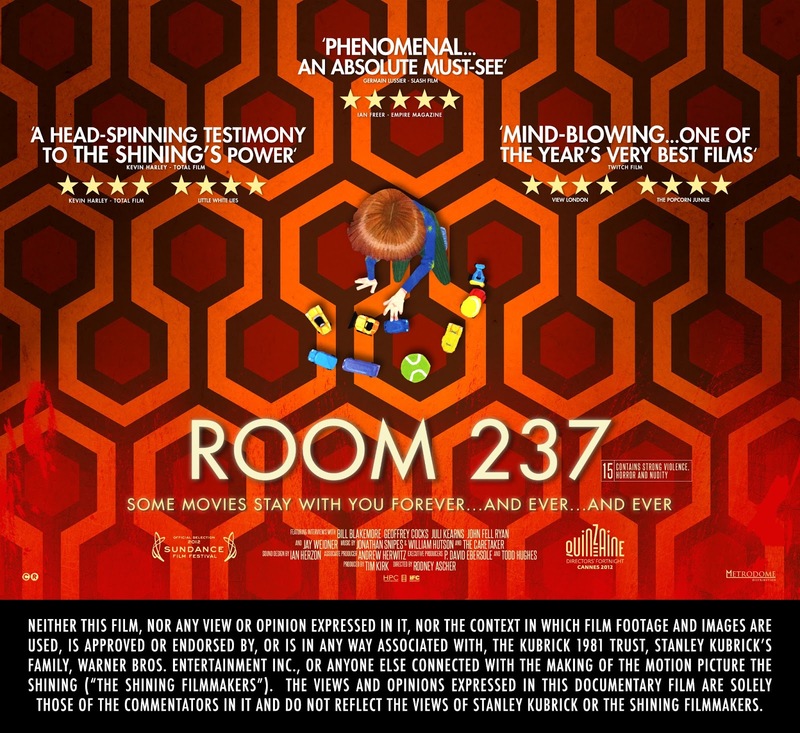 In other words, you needn't be a fan of Kubrick to enjoy ROOM 237, but it does help if you're someone who's obsessed over Firefly, or Galactica, or A Song of Ice and Fire. If you fall into that latter camp, this movie serves as the warning on the cigarette packet. 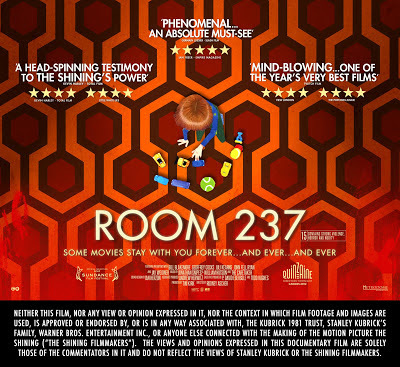 ROOM 237 played Sundance, Cannes, Toronto and London 2012 and is currently on release in the UK, Ireland and Sweden. It opens in the USA on March 29th 2013. The film has a running time of 102 minutes.